People here don’t hang stuff out of the back of a truck. For example, carrying some 16′ long pieces of lumber? 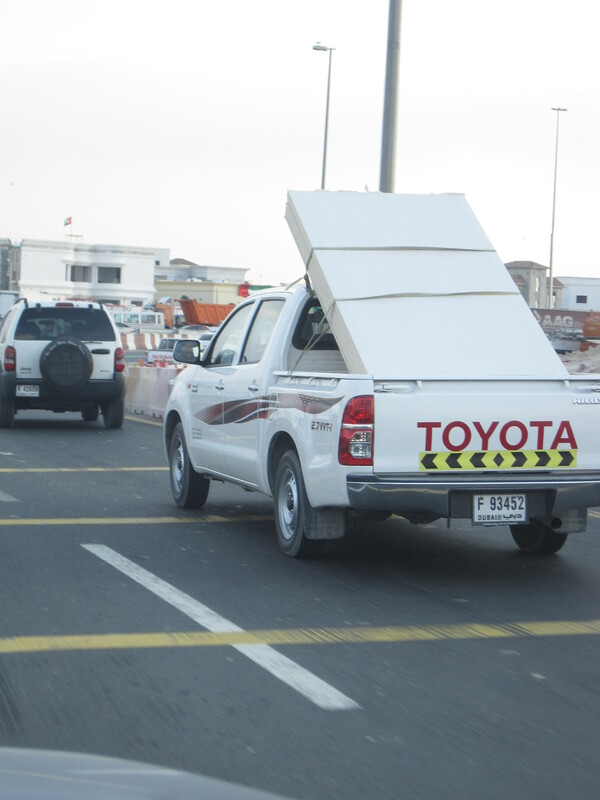 Hang them out the back of the bed of the truck in the US, but maybe put a red rag or flag on them for safety, right? Not so here. We lean stuff over the CAB of the trucks here…. keeping the peeps behind you safe from accidentally running into the long stuff. Which they certainly would do, having observed their driving habits……. 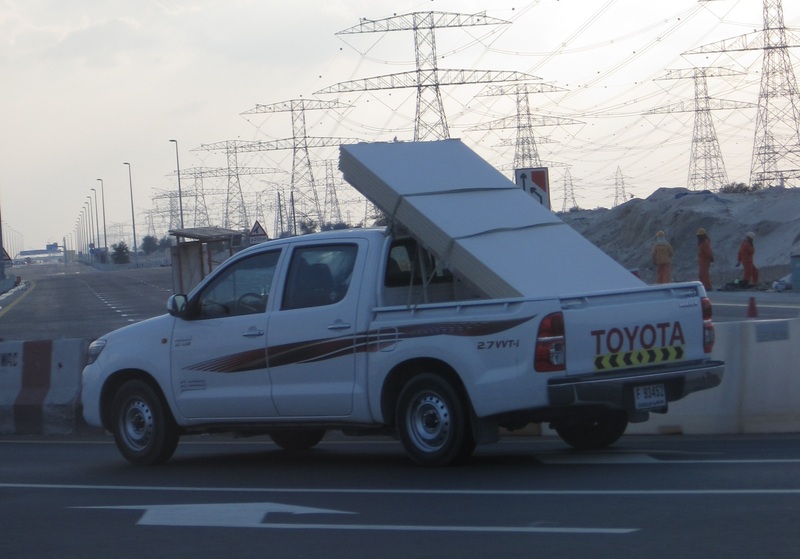 Just another of the odd things that I’ve noticed here in Dubai – not bad, actually, I really like this idea. Just different from the US, that’s all. Oh Debbie! I see life has taken you way past Soaping! Best Wishes dear! Thanks, Gin…. though I’m not certain it’s “past” soaping….. it’s certainly different though. An amazing adventure, and not something we’d ever dreamed of – but we’re grabbed onto it with both hands, and gonna ride it till it stops! Would just like to point out that you’re much more likely to lose the load when it’s positioned like that. Going down the highway at 120 kph, the wind exerts quite a force on that dead zone leaned up against the cab, and likely to break the ropes. Trust me, I’ve had to dodge some sofas on the motorway before! Excellent point, Tami – I’m gonna be hoping that their load-tying skills are far superior to what I’m expecting, Thanks for stopping by!